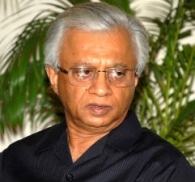 The Central Bureau of Investigation has questioned TKA Nair, advisor to Prime Minister Manmohan Singh, in connection with alleged irregularities in allocation of coal blocks, which included granting of a block to Hindalco at Talabira despite it being rejected by a screening committee of the coal ministry. As the agency prepares its submission before the Supreme Court later next week, CBI sources said that a detailed questionnaire had been sent to Nair, which was replied by him. The questions included those on coal policy and allocation of coal blocks when the prime minister was in charge of the coal ministry between 2006 and 2009. The replies of Nair were sought on delay in auctioning of coal blocks, missing coal files and events leading to the Talabira coal block being given to Hindalco in which the CBI has registered a case against then coal secretary P C Parakh and chairman of Aditya Birla Group Kumar Mangalam Birla. The CBI would now be informing the Supreme Court about the replies sent by Nair. The agency has already examined two former PMO officials --Vini Mahajan and Ashish Gupta -- who were posted in the Prime Minister’s Office between 2006 and 2009. Mahajan, a 1987-batch Indian Administrative Service officer from Punjab cadre, was a director with the PMO during the period and has now been repatriated back to the state where she is the principal secretary level officer. Gupta, an Indian Police Service-officer of 1989-batch from Uttar Pradesh cadre, who was the vigilance officer in the PMO, has also gone back to his cadre. The CBI questions revolved around granting of Talabira coal mines in Odhisa to Hindalco as the agency has alleged in its first information report that the company got the coal block even after being rejected by the screening committee. It alleged that the only material change that took place between rejection of Hindalco's application by the screening committee and allotment were two letters routed to the then coal secretary P C Parakh through the PMO and his personal meeting with Kumar Mangalam Birla. The CBI will be filing its final reports in five coal scam cases before March 26. The CBI has filed 16 FIRs, which included those against AMR Iron and Steel, JLD Yavatmal Energy, Vini Iron and Steel Udyog, JAS Infrastructure Capital Pvt Ltd, Grace Industries, Jindal Steel and Power, Rathi Steel and Power Ltd, Jharkhand Ispat, Green Infrastructure, Kamal Sponge, Pushp Steel, Hindalco, BLA Industries, Castron Technologies and Castron Mining and Nav Bharat Power Private Limited. These FIRs were registered after the agency probed three preliminary enquiries related to coal block allocation between 2006 and 2009, 1993 and 2004 and projects given under a government scheme.